A teenage girl has gone missing. The whole community has been called upon to join the search. And now an interviewer arrives, intent on capturing the community's unstable stories about life in the weeks and months before Becky Shaw vanished. Each villager has a memory to share or a secret to conceal, a connection to Becky that they are trying to make or break. A young wife pushes against the boundaries of her marriage, and another seeks a means of surviving within hers. A group of teenagers dare one another to jump into a flooded quarry, the weakest swimmer still awaiting his turn. A laborer lies trapped under rocks and dry limestone dust as his fellow workers attempt a risky rescue. And meanwhile a fractured portrait of Becky emerges at the edges of our vision--a girl swimming, climbing, and smearing dirt onto a scared boy's face, images to be cherished and challenged as the search for her goes on. 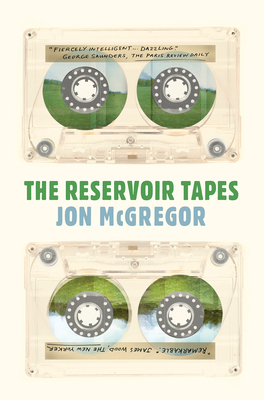 Jon McGregor is the author of four novels and two story collections. He is the winner of the International Dublin Literary Award, the Costa Novel Award, the Betty Trask Prize, the Somerset Maugham Award, and the American Academy of Arts and Letters E. M. Forster Award, and has been long-listed three times for the Man Booker Prize, most recently in 2017 for Reservoir 13. He is professor of creative writing at the University of Nottingham, England, where he edits The Letters Page, a literary journal in letters.